Between travel for our whole family and travel for my husband...I've been in a whirlwind and missed chatting with you! So today I am going to tell you about our next Pamper & Press Class! This will be the last class for 2018 and you don't want to miss it! 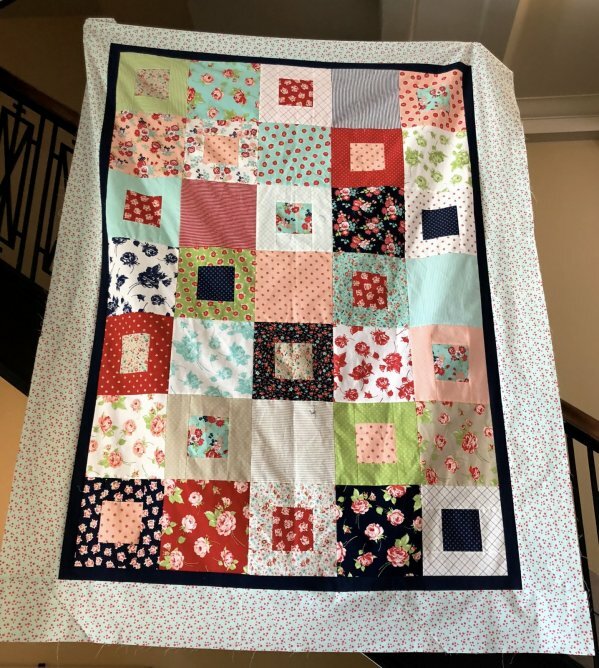 Pamper & Press is perfect this time of year - you get to come sew and leave with a finished quilt top! Perfect for a handmade gift this Christmas or for a little relaxation and treat for yourself before the busy holidays! Project size: 83" x 62"
Pictured in this project is the beautiful Smitten line by Bonnie & Camille. Other fabric choices are available - so stop in and check it out! Space is limited so be sure to get your seat reserved today!